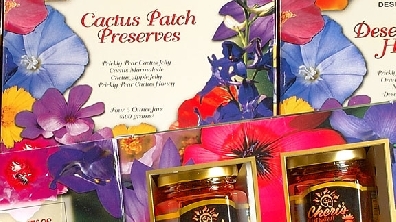 Colorful desert flowers wrap around this unique gift box filled with 4 – 5-ounce jars of specialty preserves. 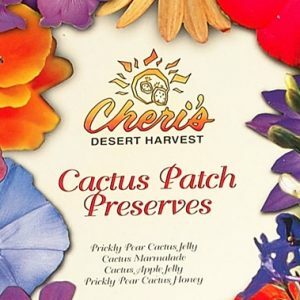 Three different box selections contain combinations of cactus fruit preserves, desert honeys or pepper jellies. Recipes, serving suggestions and a little bit of history, facts or trivia are shared on the inside and back of each box. 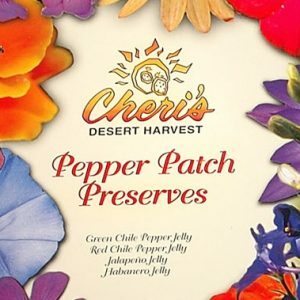 It is a great gift for someone who enjoys flavor with a sense of adventure.